Stay up-to-date with the free Breitenbach newsletter. 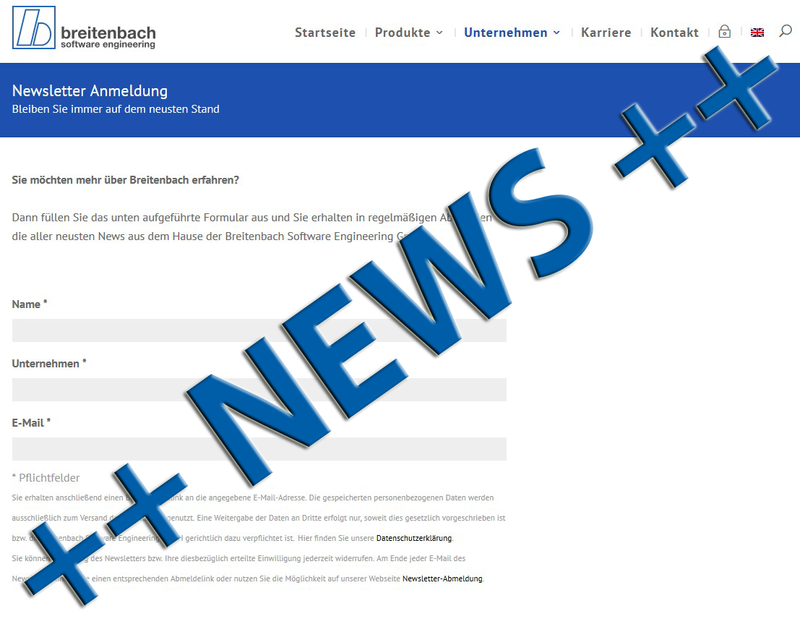 Breitenbach Software Engineering as a service provider aspires to keep you up to date on the latest developments in customer care for interesting software and hardware products, events, trade fairs, trainings and appointments. After your registration you will immediately receive a confirmation link to your specified e-mail address. Only by clicking on the confirmation link will your entry in the subscriber list be activated. Important note: You can easily revoke your consent at any time. Each newsletter includes an unsubscribe link or visit our website at: https://bb-sw.de/newsletter-abmelden/. Of course, we will treat your data confidentially.